Clancy before departing from New York to Dublin, on 1912 Henderson. For over a century, "adventure touring," as we call it these days, has been popular with motorcyclists. But a lap of the globe? That will always be judged a remarkable accomplishment, but especially when the ride took place in 1913! 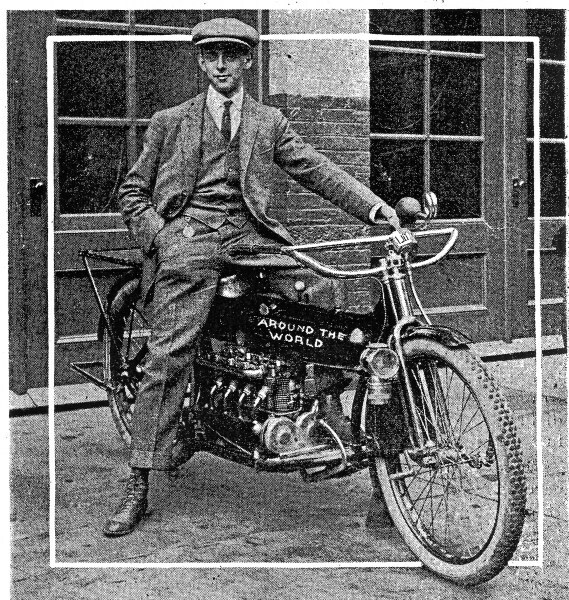 In 1913 American motorcyclist Carl Stearns Clancy became the first motorcyclist to circle the globe, doing so on a 1912 Henderson four cylinder motorcycle. The Clancy Centenary Ride pays respect to Clancy's epic feat, is the global celebration of motorcyclists "girdling the earth" on two motorized wheels. Clancy left San Francisco June 2, as Centenary riders will, arriving June 21 at Penn Station in New York City, from where Clancy started in 1913. What got this 100 year old ride celebration started? In 2010 Dr. Gregory W. Frazier, global motorcyclist, journalist and author, had his 16 year research of the Clancy around the world ride published in the book MOTORCYCLE ADVENTURER. Irish motorcyclists read Frazier's book, and recognized that Clancy, with his Irish heritage, had made a significant contribution to the history of motorcycling. They then designed The Clancy Centenary Ride to recreate the global ride Clancy had made 100 years earlier. A side trip off Clancy's original route is slated for June 12 and 13 as the riders cross the USA. They will visit the National Motorcycle Museum in Anamosa, Iowa, where the Museum has on display one of the very few surviving 1912 Henderson four cylinder motorcycles, this one in original unrestored condition, and nearly identical to Clancy's motorcycle. 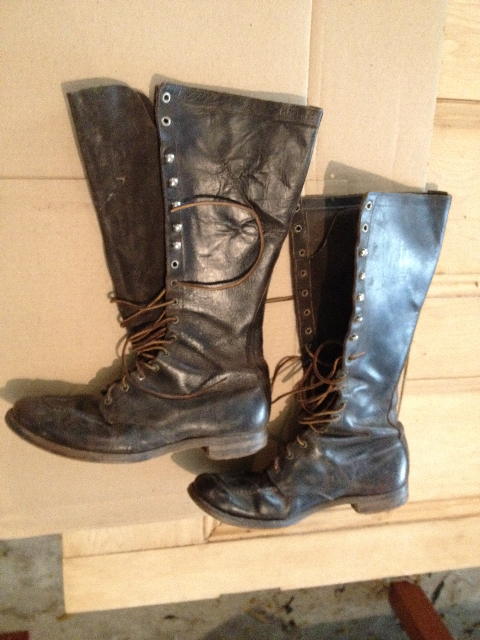 While at the Museum, Dr. Gregory Frazier will be making arrangements for a Clancy donation to the Museum; Clancy's original boots, plus the loan of working papers and other items from the original Clancy Ride. Global and local motorcyclists will leave San Francisco June, 2, 2013, exactly 100 years to the day that Clancy left the same location on the last leg of his world ride, San Francisco to his original 1913 beginning point in New York City. Two of the riders have already started in Dublin, Ireland to attempt to recreate the entire route. 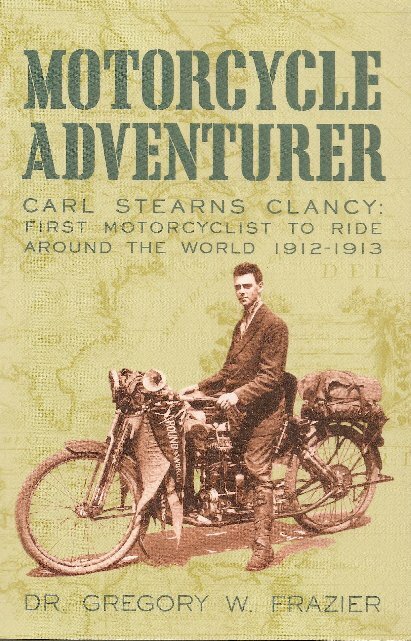 Clancy's ride was described in 1912 as "the longest, most difficult and most perilous motorcycle journey ever attempted" as he became the first global motorcycle adventure rider. The ride will follow Clancy's original route, which is now paved. 100 years ago much was gravel or merely wagon tracks. Motorcyclists are invited to meet The Clancy Centenary Riders, including Dr. Gregory Frazier at the National Motorcycle Museum or along the route as they circle the globe celebrating 100 years of motorcyclists completing perilous and difficult motorcycle rides around Old Mother Earth. There is no registration or fee, riders join the tour for a minute, mile, days or the whole 5,500 miles. Mark your calendar and plan to be at the National Motorcycle Museum June 12 and June 13, 2013. Look for updates at the link on the Clancy Centenary Ride website: http://bit.ly/n6bXGX . If you need more information on activities at the National Motorcycle Museum, call the Museum at 319 462 3925, or check the Museum website; www.nationalmcmuseum.org.